Young Christians are turning their backs on religion and finding different ways to practice values that they consider unchained from faith. But what is it that’s making them decide to move on? 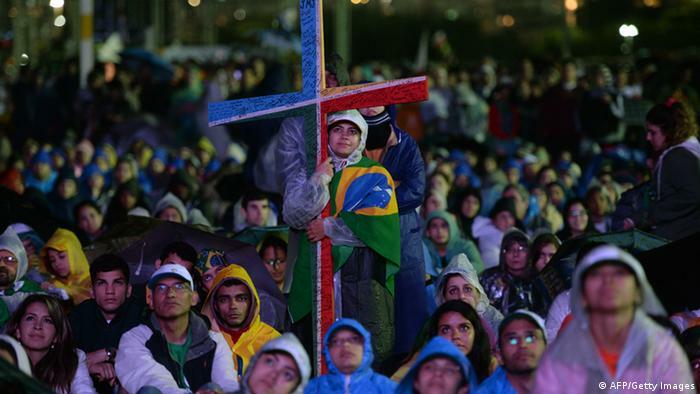 Young people attend the welcoming ceremony for Pope Francis on World Youth Day in Rio de Janeiro 2013. Unlike young believers in South America, young people in other regions are not as convinced of the Christian religion anymore. Julia decided she didn’t want to be Christian anymore – after seeing what religion and the Church did to the attitudes of those around her, she decided she did not want to be part of it. “I am Christian, but…” is what many young Christians tend to say. We’ve spoken to three of them about their faith, values and the difficulties they have with the Church. Yes. I grew up in a Christian family and we celebrate Christmas. I do pray now and again, especially if I need some kind of support. And I do believe in the Ten Commandments and abide them. But it’s not like I don’t eat meat on Fridays, or rest on Sundays. 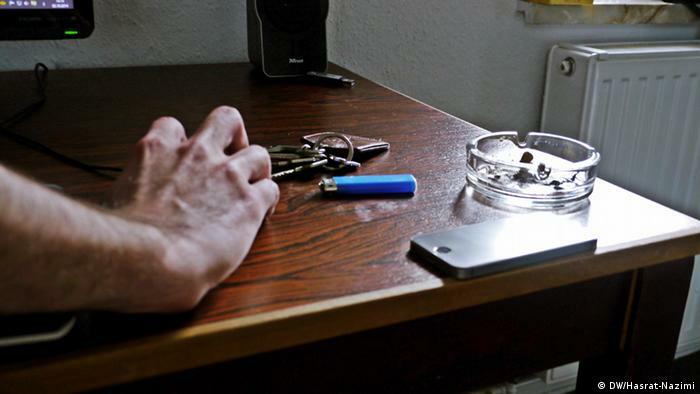 The absence of a father is one of the reasons why many radicalized German teenagers join fundamentalist groups, says an expert from the Violence Prevention Network in Germany. Mothers, however, can make a difference. 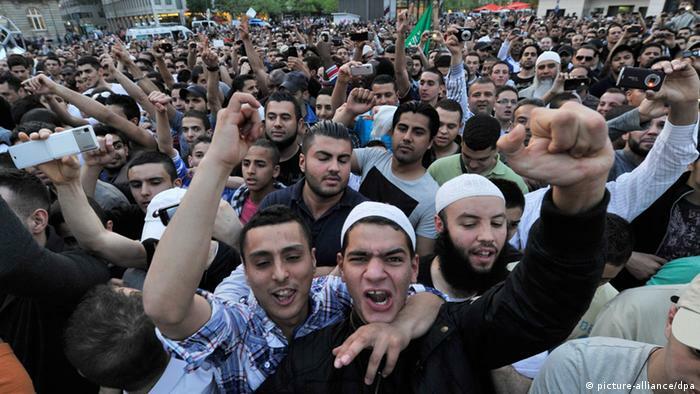 Young men cheer for the Salafist preacher Pierre Vogel, who was holding a speech in the city of Frankfurt am Main in April 2011. At least 550 German citizens have left their home country to fight for the terror organization Islamic State group in Syria and Iraq, . After France and England, Germany is the country with the third largest amount of Jihadists leaving Europe to join forces with radicals abroad. You met Ali on our latest episode #dealwithme. Now we want to introduce you to Hashem. He’s another refugee who came to Europe in the hope of a better life. But as soon as he gets a passport, he will be sent back. Hashem still remembers every single time he has encountered the German police. The first time was when he had just arrived in Germany. It was a bright, sunny day and everyone was enjoying the warm weather. But Hashem was looking for the police. White skin, pale pinkish eyes and light hair – those are the physical traits that some connect with albinism, the condition affecting #dealwithme’s Leonidah. Find out what causes albinism and how it’s diagnosed. Albinism is a rare genetic condition characterized by little or no production of melanin, the pigment that creates skin color. Approximately one in every 75 people is a carrier for albinism. 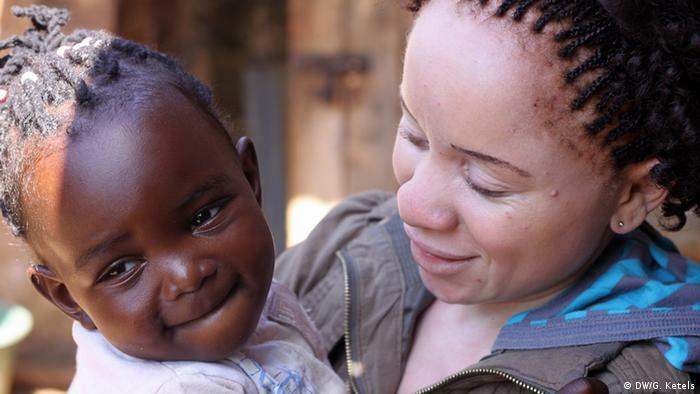 The condition is hereditary, but most children with albinism are born to parents with a normal pigmentation. If both parents possess the defective gene, there is a one in four chance their child will be born with albinism. It occurs in both sexes regardless of their race or ethnicity. From airline pilot to lawyer: Frank Abagnale claims to have assumed no fewer than eight identities. But where is the fine line between lying and breaking the law? We spoke with con artist expert Sonja Veelen to find out. I sometimes pretend to be a certain Roxy Rodriguez when the barista at Starbucks asks me my name. Does that make me a con merchant? No. But if you tell your bank you’re Queen Máxima and cheat your way into a loan, that would be fraud. So where does one cross the line between being a liar and a con artist? The boundaries can often be blurred. You are definitely crossing the line and can get into legal trouble if you start using deceitful methods, like if you fake documents or assume false titles. Pretending to have significantly more resources – like knowledge, education, money or social influence – than you really do, and thereby deceiving another person, also falls under imposture. If a conman harms a patient because he has no medical knowledge whatsoever, he clearly crosses every possible legal and moral boundary. Can I just become a con artist or do I need to have a particular disposition for it? You definitely need to have certain personality traits. An impostor has to have excellent self-control, be able to stay calm in dicey situations, stick to his role and exude an absolute air of calm. Some fraudsters say that they managed to be released or flee police custody shortly after questioning, just by sticking consistently to their role. A poised manner and lots of self-confidence are therefore crucial. You also need to be able to adapt to the most different surroundings in no time at all, just like a chameleon blends into its environment. It certainly doesn’t hurt if you’re good looking and charming. And you also need some criminal drive. A con artist usually won’t get anywhere if they shy away from breaking the law. To what extent do lies affect an impostor’s identity? Could they have identity issues because their different identities blur into one? Fraudsters often say they weren’t playing a role – they became the role. That describes an extreme type of adaptation that occurs intuitively and might be key to their success. If someone believes their own lies, that’s what they exude. It’s a brilliant trick, really. Of course when an imposter pretends to be a doctor, they’re aware of not being a real doctor. But day-to-day, they carry across their impostor habits into their role as a doctor. In that regard, it’s plausible that those who report not to experience a conflict of identity really don’t. They’re more likely to face dilemmas related to their roles since they need to make sure that people who know them in one role don’t meet them in another conflicting one. 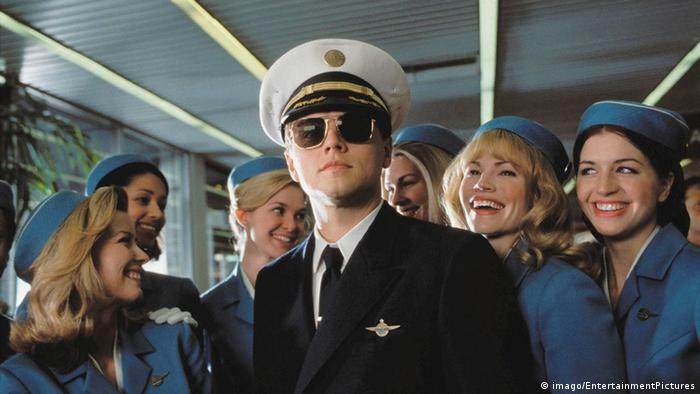 There are countless examples of people like Frank Abagnale, who managed to pull off pretending to be – among other things – a pilot and whose life was even inspired the film “Catch me if you can”. What’s the key to getting good at fooling others? The easiest thing is to deck yourself out in things connected to the role in question. Take uniforms and the case of the “The Captain of Köpenick” for example. Generally, work clothes like a judge’s robe or a doctor’s white coat are useful because they make us believe that we know whom we’re dealing with. If you see a tall guy getting out of a Bentley with a shiny Rolex around his wrist – you’d probably believe it if he said he was the chairman of a large bank, right? Appearing confident and relaxed can be very convincing. Manipulating people on an emotional level by complimenting them or establishing fake common ground works extremely well too. Car dealers and insurance agents are experts at that. So why do we believe them although they manipulate us? Impostors generally abuse the trust needed in order to navigate a complex world. They use a high degree of manipulation, which is hard to identify if you’re not expecting it. Humans are pretty much blind to things they don’t expect. That “blindness” is strengthened when they’re offered something they really desire: Marital cheaters offer love, fraudsters money and those who lie in job applications present the perfect employee. Why do people sometimes choose to take on another identity, like when I become Roxy at the Starbucks counter? Your case seems to be more of an innocent gag. But often when people switch into another identity it’s to reach a certain goal which would ordinarily be out of reach. In cases when it’s illegal to play that role, some people decide to it anyway. Take women who live in restrictive societies, for example – they might be driven to pretending to be men. Or medical students who practise as doctors despite having failed their exams and greedy so-and-sos who employ tricks to get people to empty their pockets. But false identities can also simply be used as a disguise – a common practice among spies. Sonja Veelen is a doctoral candidate and research associate at the Philipp University of Marburg. She is the author of ‘Hochstapler: Wie sie uns täuschen’ [Impostors. How they fool us].